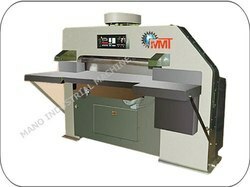 We are aPaper Cutting Machinemanufacturer inIndia. We have been supplying our wide range of products to all overIndiacustomers. For Better understanding of our customer we have given alternate names of the products also. We have qualitative range of Offset Paper Cutting Machine, Heavy Duty Paper Cutting Machine, Heavy Duty Semi Automatic Paper Cutting Machine in our store. 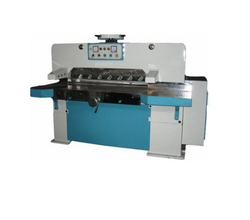 This machine is brought into the market in order to ensure utmost client-satisfaction. Therefore, we manufactured it using ultra-grade raw material and implemented advanced technologies in order to manufacture this product. It is highly suitable for the heavy duty applications and thus, installed in different industries for paper cutting. 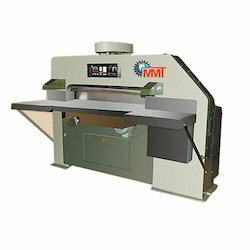 Motorized Paper Cutting Machine with two knives and All standard accessories. 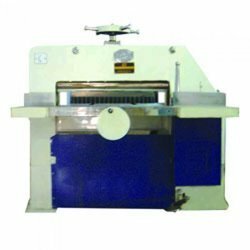 We have qualitative range of Heavy Duty Electro Magnatic Paper Cutting Machine in our store. This machine is brought into the market in order to ensure utmost client-satisfaction. Therefore, we manufactured it using ultra-grade raw material and implemented advanced technologies in order to manufacture this product. It is highly suitable for the heavy duty applications and thus, installed in different industries for paper cutting. We have qualitative range of Heavy Duty Semi Automatic Paper Cutting Machine and Automatic Paper Cutting Machine in our store. 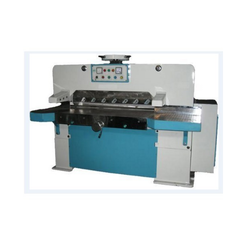 This machine is brought into the market in order to ensure utmost client-satisfaction. Therefore, we manufactured it using ultra-grade raw material and implemented advanced technologies in order to manufacture this product. It is highly suitable for the heavy duty applications and thus, installed in different industries for paper cutting.